News of Steve Bannon's ouster from the White House was met with a variety of reactions across social media Friday, as celebrities, political commentators and politicians expressed both support and disdain for the move. Rosie O'Donnell, political commentator Ann Coulter and movie director Jon Favreau were among those who took to Twitter as news broke of Bannon's ouster. Democratic Leader Nancy Pelosi released a statement following the news. "Steve Bannon's firing is welcome news, but it doesn’t disguise where President Trump himself stands on white supremacists and the bigoted beliefs they advance," Pelosi wrote. "President Trump's growing record of repulsive statements is matched by his repulsive policies. Personnel changes are worthless so long as President Trump continues to advance policies that disgrace our cherished American values." did Trump just fire Potus? Bannon is out. Beware! He can do the exact same thing without an official title in the Administration. Nothing changes until Trump is out. If @realDonaldTrump didn't like the media giving Steve Bannon all credit, instead of firing him, he should've hired 10 more like him. As the head of Breitbart, Steve Bannon was a purveyor of white nationalist propaganda. Bannon, 63, has been credited as a link between Trump and his conservative, populist base of supporters, but has been routinely criticized for his nationalist beliefs. Trump hinted earlier this week that Bannon's future at the White House was under consideration. Bannon is reviled by many for his role in developing Breitbart, which he stepped aside from to work for the Trump campaign. Critics call the site racist, sexist, xenophobic and anti-Semitic. 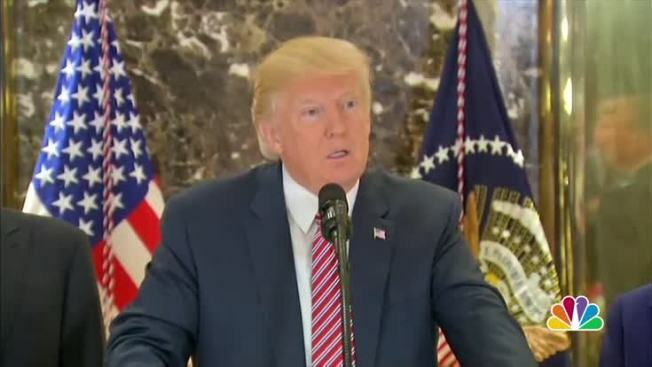 He has denied that he is a white nationalist, calling himself an "economic nationalist" with visions of building an "entirely new political movement." But he seemed to court revulsion from liberals and others opposed to him.